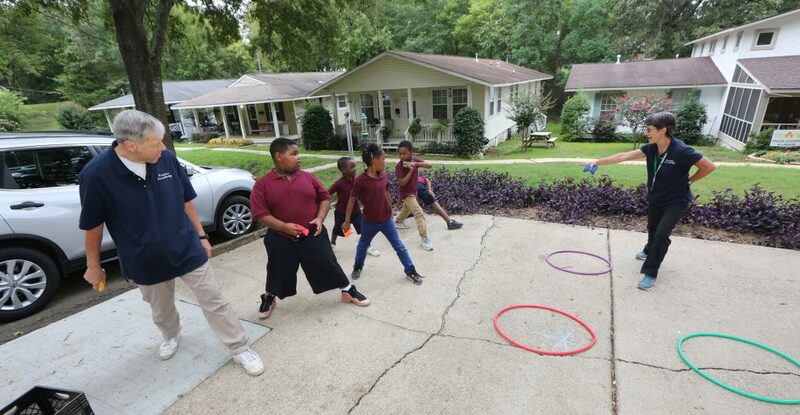 Praise Academy at Lakeside's 13 students and their teachers wrapped up their second school year in late May. On the last day of classes the teachers honored the students for the strides each had made, and the students beamed with pride. When the teachers finished, one of the second graders raised his hand and asked Joan Pingel, the principal, if he could share. He thanked her for teaching him to read better and helping him each day at school. Then, one by one, other children chimed in, thanking the teachers for things they had done. "It was a great note to end the year on," Joan said. "We were very pleased with the results from the Iowa Test of Basic Skills, a standardized test taken by our elementary students. All of them made progress this year. In one case, a child moved up two grade levels in several subjects. 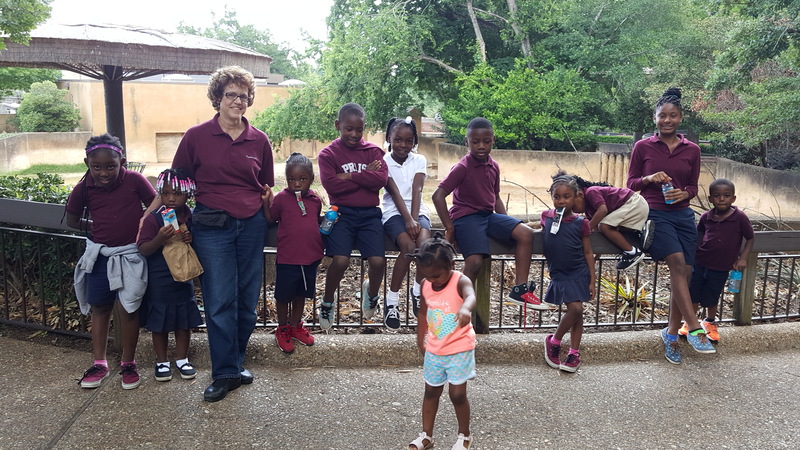 "On April 29, the Allendale mission team and Praise Academy held a neighborhood crawfish boil on Yale Avenue, together with an open house at the school where student work was on display for family, neighbors and guests. The event was a big hit and well attended. 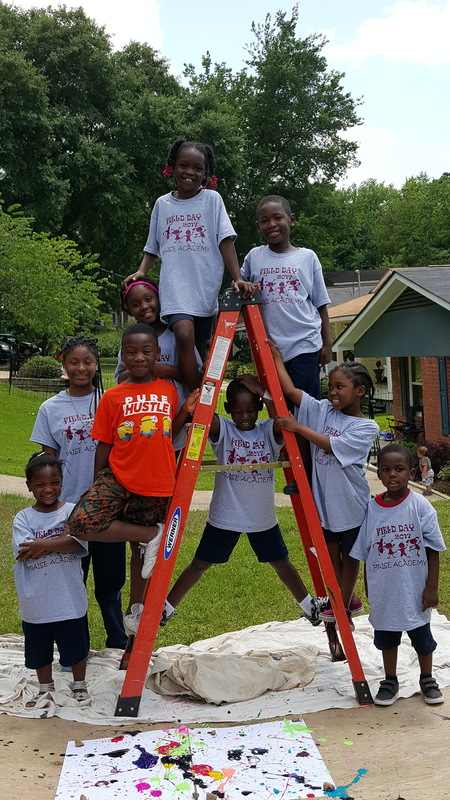 Brothers and sisters from the New Orleans branch were on hand to help host the event and to do some construction and cleaning projects. We really appreciated their help." Mary Grams (South Bend), Praise Academy's director of finances, notes that on April 3 Praise Academy at Lakeside: a People of Praise School, officially became a 501(c)3 public charity in the United States. Tax-deductible contributions can be made out to Praise Academy and directed to her at the Praise Academy accounting office: 110 N. Esther St., South Bend, IN, 46617. Online donations are also possible through the Praise Academy website. Nano extends her gratitude on behalf of the Praise Academy team for the support and prayers of the community. "We are busy recruiting students for next fall. We hope to start the year with over 20 students. Your continued prayers for our work and especially for our students are appreciated." You all are doing such wonderful work! THANK YOU THANK YOU, I will be praying for your continued success. I know God's great love from each of you is touching each of their hearts. Oh my....how precious to see all these children blessed. Congratulations Joan Pingel!! it has been years! proud of you..keep up the good work. May God continue to bless this operation to bless, educate and love Gods children!! Great work! I am proud of you for such an awesome outreach!